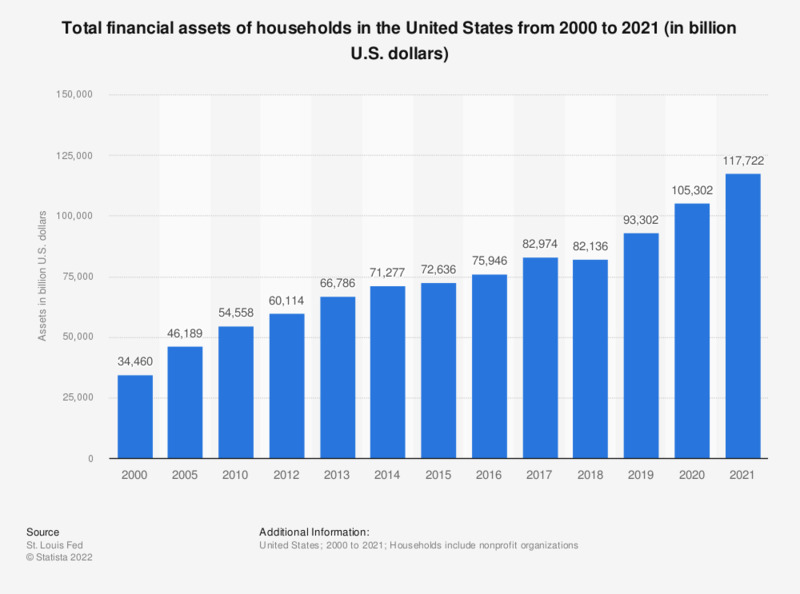 This statistic presents the total financial assets of the households in the United States from 2000 to 2017. In 2017, the total financial assets of the households in the United States was approximately 81.24 trillion U.S. dollars. Note: Households include non profit organizations.